Ask MO Anything: Is latest and greatest the only way to go? 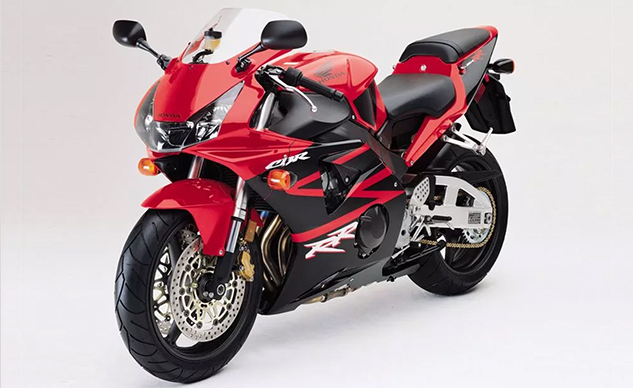 So I’ve been thinking about pulling the trigger on a new literbike next spring for a while now, when I stumbled upon a great deal on a like-new 15-year old Honda CBR954RR. I remember loving that bike when it was new, when it was way out of financial reach, and it still looks great to my eyes. If I’m honest with myself, “track days” will be scarce if they occur at all. And if I’m honest with myself again, I could do a lot with the $10k I’d save compared to a new bike. Well, my wife and child could. Here’s my question: If I’m using the bike a lot for commuting, some sport riding on weekends and possibly an annual track day, am I going to miss the ride-by-wire (what is that anyway? ), ride modes, traction control, ABS, and all the other stuff an Aprilia RSV4 has? Unless you ride on the street the way people ride on the racetrack, i.e., trying for maximum drive out of every corner by getting hard on the gas with the bike still leaned pretty far over, I really don’t think you’ll miss traction control so much – especially since that old 954 is probably only making 120-or so horsepower to a new Aprilia’s 175-some. The big caveat there is, unless you live in Seattle or someplace where it rains all the time. If that’s the case, you’ll want ABS even more than TC. You can choose to modulate your throttle inputs in low-traction conditions, but you can’t modulate when somebody will turn left in front of you – the #1 motorcycle vs. car collision. In that situation, ABS can be a lifesaver and it’s up to you make that risk/reward calculation. With carburetors and older fuel injection systems like your Honda’s, the throttle cables open the butterflies (or throttle plates) directly, which let air into your engine, and the computer figures out how much fuel to inject. On more modern ride-by-wire systems, the throttle cable is usually a wire from the throttle directly to the bike’s computer. Using input from all the other sensors, now including an Inertial Measurement Unit on many bikes, the computer decides how much power you really want and how much to open the butterflies. R-b-W makes it easier for the engineers to program in all the TC, anti-wheelie, ignition cut for the quickshifter, launch control, ride modes (maybe Rain, Road and Sport), and whatever else they dream up to make your life more seamless and safer. You need this stuff to go fast now, but not really to just ride around. The 954RR is a fine old machine, a great, comfortable and the most practical of the literbikes of its era, thanks to its light weight and nimble handling. You’d ride it happily ever after if you chose it – unless you rode the Aprilia, winner of our 2017 Superbike Shootout. A lot has changed in 15 years, and the only way to experience it, sadly, is on a liter-class sportbike built in the last few years. Sorry but it’s true. Send your moto-related questions to [email protected]. If we can’t answer them, we’ll at least do no harm in the time it takes to seek out a believable answer.